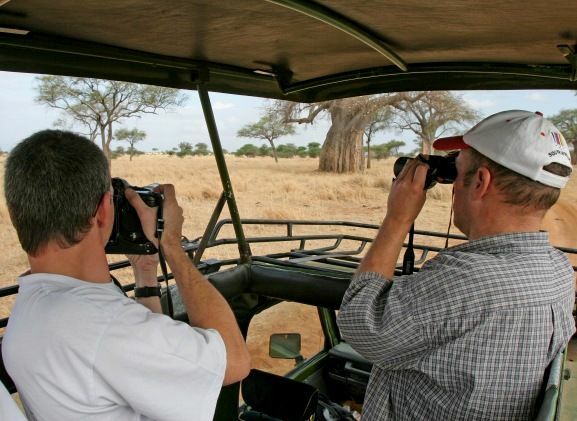 Good preparation will help you make your Safari in Tanzania an experience you will never forget. The information provided below should give you a good idea of what you can expect. Most rates are shown in American Dollar (U$). The currency converter provided on our website can be used as a guideline to show the currency you prefer. Once you book a tour, the American Dollar amount will be converted to EURO (or another major currency such as British Pound if you prefer). We will use the average exchange rate of the last 7 days. When you book any Safari by yourself, the single supplement will be compulsory. 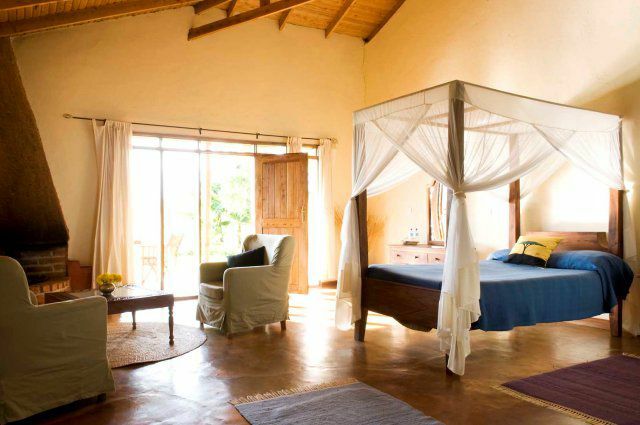 You will then have your own private room before and after the safari in Arusha. 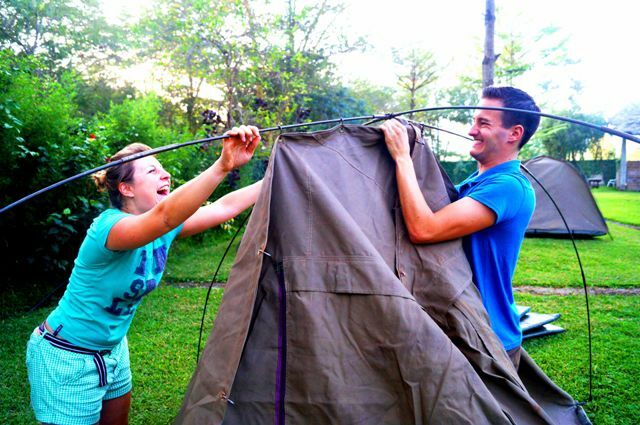 During the camping safari you will share a tent (camping safari) or room (lodge safari) with someone from the same gender. 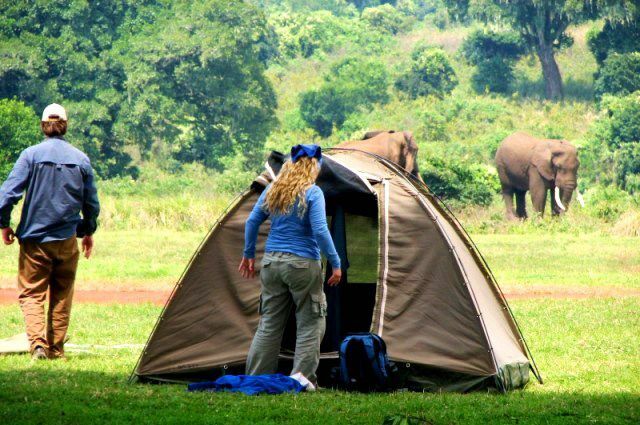 If you wish to not share a tent or room during a safari (with someone from the same gender), you can request to pay an additional single tent or room fee and you will have your own tent or room during the safari. We limit the groups to a maximum of 7 clients per vehicle. When more than 7 clients book the same date, the group will be split up into 2 vehicles. Our clients come from all over the world. Is there an age limit on Safaris? There is no set age limit, but we discourage parents with children under the age of 8 to join these safaris due to the long drives and the fact that nights are spent in unfenced campsites. 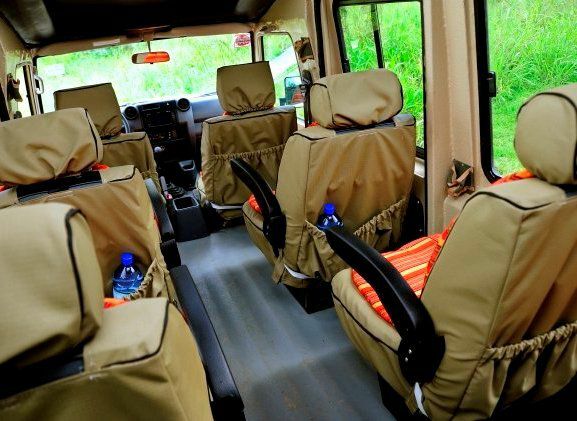 Nevertheless, if parents are convinced that their child/ children will be unfazed by the long driving distances and the travel time that goes with it, children are welcome to join the safari. But please keep in mind that the responsibility for each child lies with you as a parent at all times. When is the best time to go on safari in Tanzania? Between December and May huge herds of wildebeests and zebras will be seen, with calves and foals being born between January and March. Even though it is possible to go on safari during the main rainy season, we strongly discourage anyone from doing so. The warmest time with the least amount of rainfall is between December and February. The main rainy season is from March until the beginning of June. Between June and October the temperatures are moderate with almost no rainfall. November is regarded as the small rainy season and daily, short rainfalls with cloudy views are common. 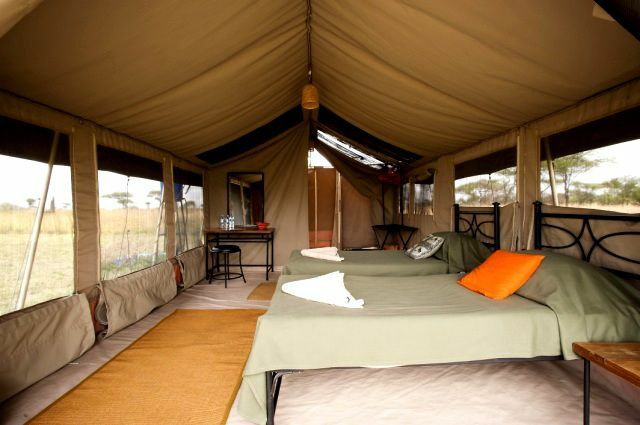 Camping Safaris: nights are spent in basic campsites inside the national parks or on the outskirts thereof. 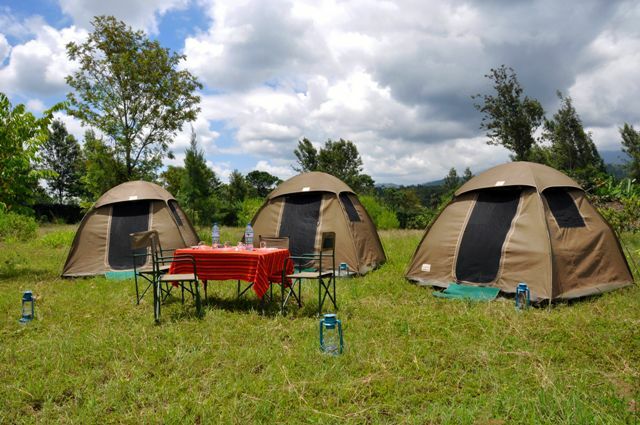 Clients are provided with spacious two-man dome tents (2.1 x 2.1 m) that are equipped with mosquito nets and comfortable 5 cm thick sleeping mats. Lodge safaris: you will stay in hotels, safari lodges or permanent tented camps (with en-suite bathrooms). 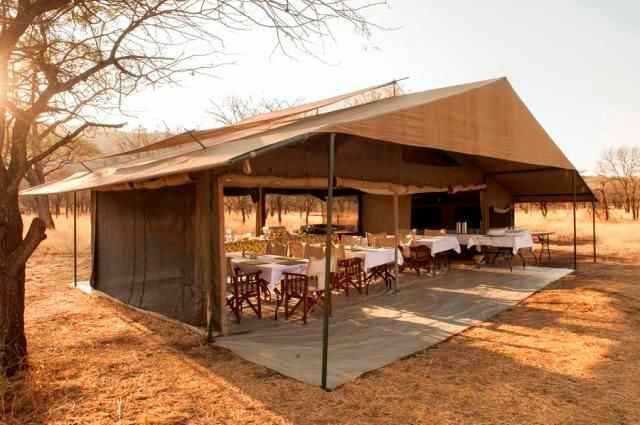 Safari lodges are solid buildings, whereas tented camps are permanently set-up, walk-in safari style tents that offer the same service as hotels and lodges. 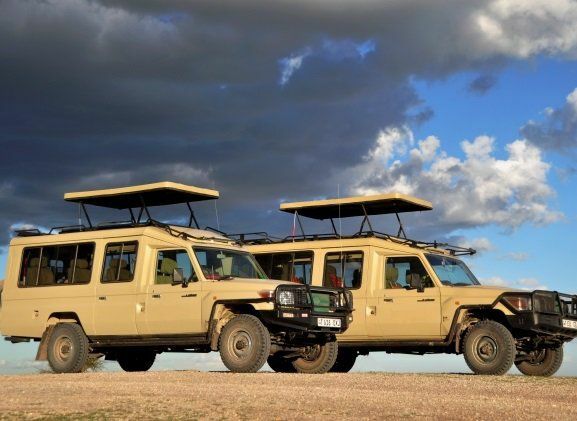 We only use specially converted 4×4 safari vehicles (i.e. Toyota Landcruiser) that are able to take on the harsh Tanzanian road conditions. Each guest will enjoy a window seat and during game drives the roof will open, ensuring unspoiled views. Are there ablution facilities at campsites? Yes, there are communal ablution facilities on all campsites. Most of them are very basic and not all of them have hot water. Which meals are provided and what type of food can I expect? You will dine at the respective accommodations. For breakfast, a buffet is usually set up, whereas a three course menu is typically served for dinner. Lunch is mostly enjoyed en-route in form of pre-packed lunch (lunch-box) consisting of sandwiches, boiled eggs and fruits or grilled chicken thighs. Please let us know if you have any special dietary requirements or food allergies and we will do our best to cater to your needs (only possible with advanced notification). Should I bring some extra cash? Yes, you should bring some extra money for tips, souvenirs and other personal expenses. If you are bringing USD, please make sure that the bills are printed after 2008 as any earlier printed ones will not be accepted. Tipping after a safari is customary and we recommend 10 USD per day per group for the guide. Probably. Most travellers need a visa for Tanzania. Most travellers can obtain a visa upon arrival at the airport or when crossing the border into Tanzania. It is every traveller's own obligation to check the latest visa regulations with their respective embassies. Officially, no vaccinations are required by the Tanzanian health department. Tanzania is however a yellow fever region and therefore we have to advise that you speak to your doctor or medical practitioner about your travel plans and follow their recommendations. You should also consult your doctor or medical practitioner about other common shots such as Tetanus, Diphtheria, Polio and Hepatitis A & B. It is your own choice if you wish to take any precautionary medication, but again we suggest that you consult your doctor or travel clinic on this matter.